In 2-quart saucepan, heat drippings over medium heat. Beat in flour with whisk; cook over medium heat 2 minutes, stirring constantly. Gradually beat in broth; heat to boiling. Stir in cranberry sauce and whipping cream. Boil and stir about 2 minutes or until mixture thickens. Add salt and pepper. 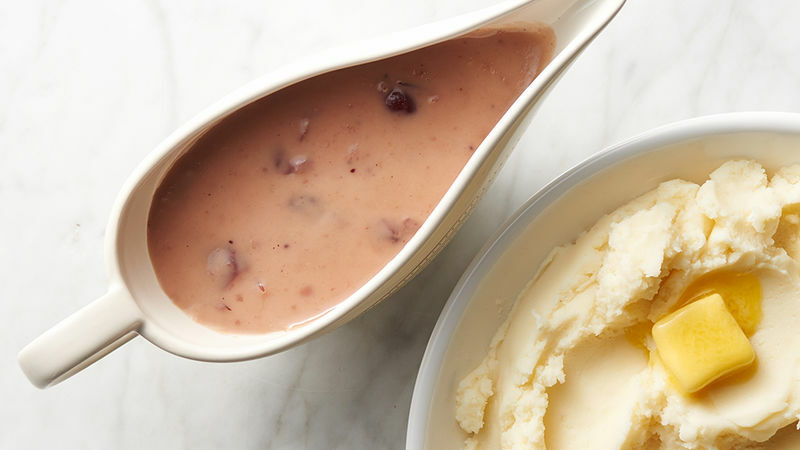 Most cranberry sauces will work in this recipe, but a whole berry sauce will let everyone see the cranberries so they’ll be sure to know this isn’t your grandmother’s gravy. While this gravy is perfect to serve with turkey, it also goes well with roast pork or even ham.